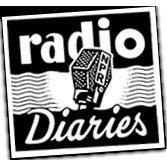 WNYC is a media partner of Teenage Diaries Revisited Live with Robert Krulwich and Joe Richman. In the late 90's, a group of teens documented their lives for NPR. Now, 16 years later, the original diarists reunite to discuss and share excerpts from their adult diaries.